The traditional interpretation of the crisis of the Spanish Old Regime is to see it as a revolution carried out by an ascendant bourgeoisie. 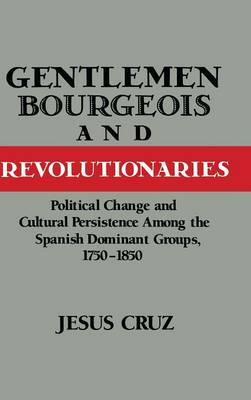 Professor Cruz challenges this viewpoint by arguing that in Spain, as in the rest of continental Europe, a national bourgeoisie did not exist before the second half of the nineteenth century. Consequently, the model of bourgeois revolution proves inadequate to explain any movement toward modernisation before 1850. Historiography based on the bourgeois revolution theory portrays Spain as an exceptional model whose main feature is the 'failure' produced by the immobility of its ruling class. This work re-examines that understanding, and relocates Spain in the mainstream for industrialisation, urbanisation and democratisation that characterise the history of modern Europe.